New Delhi: One of the core objectives of the National Health Policy (NHP) 2017 is to strengthen mental health services at the primary healthcare level. Following the NHP 2017 guidelines, Rajasthan Govt has been supporting IIHMR University led mental health research at two primary healthcare centres (PHCs) in Alwar district. The preliminary findings of the ongoing research took the central stage at the International Scientific Meeting and three-day Training on Skill Development for Diagnosis and Management of Mental Illness using Digital Technology which was conducted at IIHMR University from 7th to 9th February 2018. “I would like to thank the Government of Rajasthan for the collaboration and support extended to us in conducting the research. Through the study, we wanted to assess how mental assessment can be implemented at the primary healthcare level and whether the frontline functionaries such as auxiliary nurse midwives can be trained to conduct mental health assessment for all visiting patients. Countering various challenges of accessibility and resources, this research was conducted at two subhealth centres in Alwar which cover the neighboring areas with a population base of around 5000. 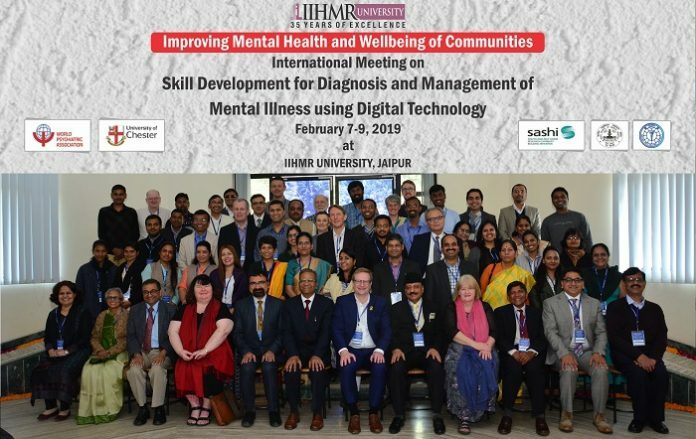 Depression, schizophrenia, and learning disability were some of the mental health diseases that were prevalent in the regional population”, said Dr Pankaj Gupta, President, IIHMR University. The assessment included using a quasi-experimental “Study and Comparison Group Pre-test/Post-test Design”. The digital Global Mental Health Assessment Tool (GMHAT) tool was applied at Sub-center and PHC level for all those who had come for any health care services. However, intensive efforts were made in conducting the research. “Through collaboration with various stakeholders, we conducted a five-day training on the digital GMHAT for frontline functionaries. This also included sensitizing the functionaries on Mental Health. The functionaries were also trained at psychiatric centre with actual patients before they were put on the job training. As a result, 918 interviews were conducted and 9% of these were diagnosed with a mental health ailment, while 8% were further validated by experts. This puts into focus the need for mental health assessment to be accessible at all levels of socioeconomic strata of our society. Also, it is a sign that with trained human resource and digital technology, the mental health services can be delivered at PHC level,” said Chairman Dr SD Gupta, who at IIHMR University headed the research. Dr Thomas G Schulze, Secretary for scientific section, World Psychiatric Association further added that in a move to uplift the state of mental health and to bring about a constructive change in South East Asia WPA is tying up with a host of NGO’s and other significant bodies. Interesting presentations were made by various experts followed by lively discussions and debates amongst the participants. The experts provided them an understanding of the prevalent trends symptoms and causes of mental aliments from a public health perspective, explaining the challenges in providing mental health services, preventing suicide and develop clinical skills to assess mental healthcare. 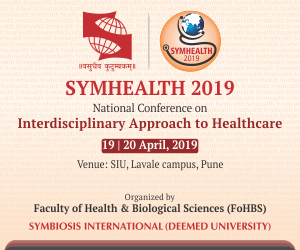 The resource persons to provide their valuable insights were Dr Ashok Kaushik (Dean, IIHMR U), Prof Vimal Kumar Sharma; Prof Thomas G Schulze; Prof Angela Simpson; Prof Matt Bowen; Prof Mohammed Abou Saleh; Dr Paola Tejada; Prof Catehrine Robinson; Prof Prakas Behere; Dr Ved Prakash Mishra; Dr Satish Malik; Prof Santosh Chaturvedi; Prof Satish Girimaji.